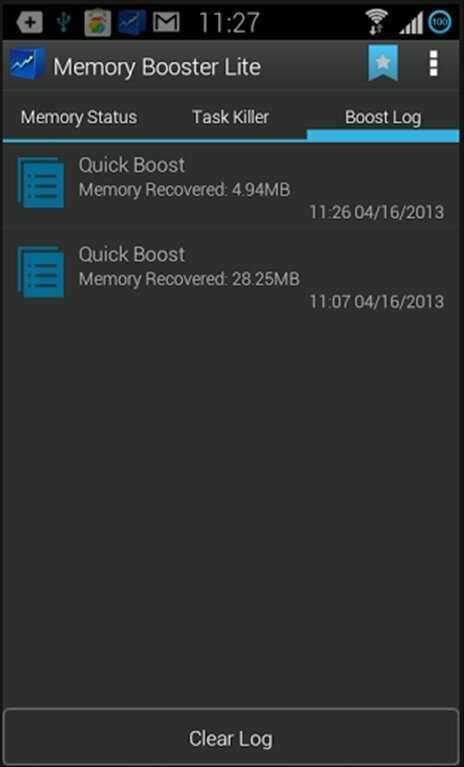 How the system on Android devices manages RAM memory is impeccable, but users of less powerful devices may need to download Memory Booster free for Android to make the most of their memory. 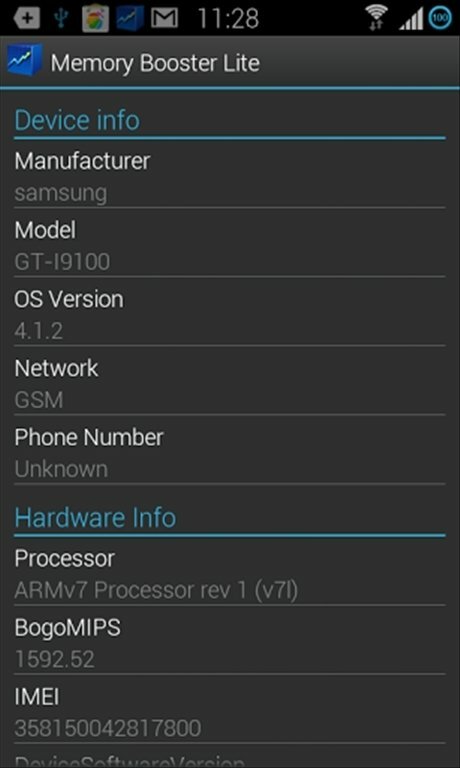 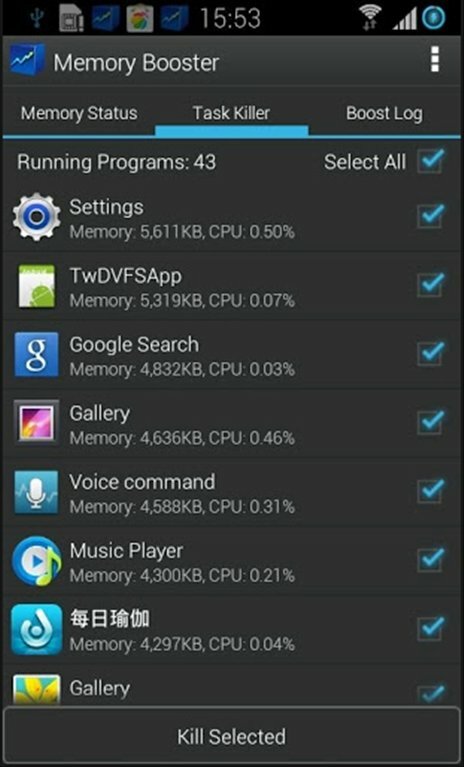 Optimise the use of RAM memory on Android. 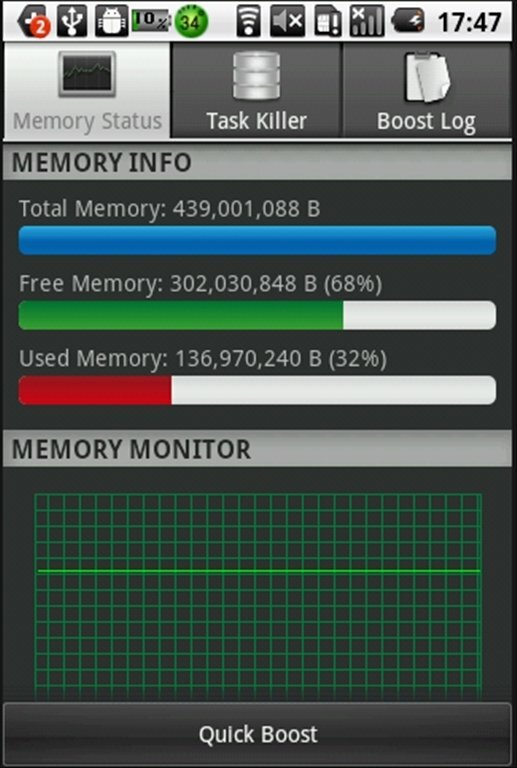 Information about the state of the memory. 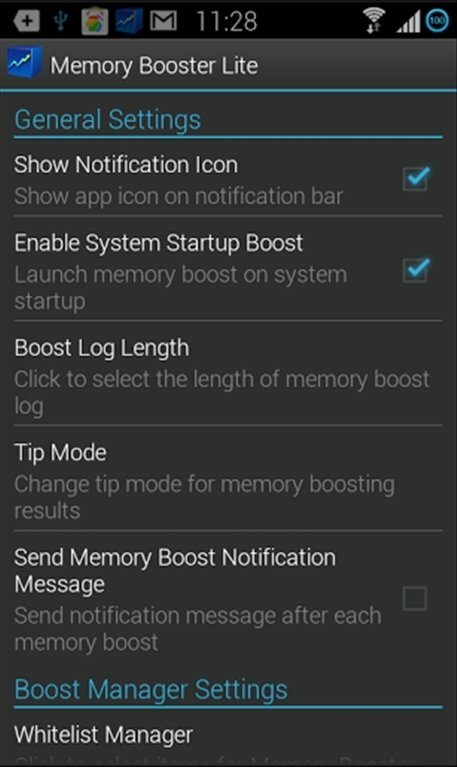 Automatic or manual optimisation of the use of RAM. 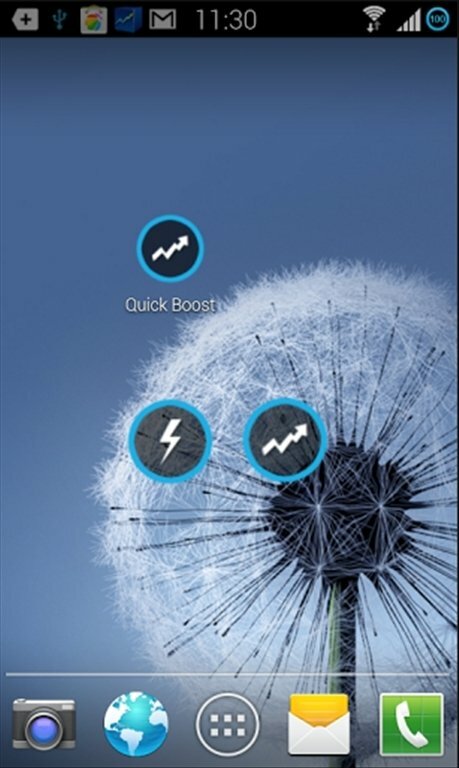 Incorporation of a task killer to get rid of inactive tasks. 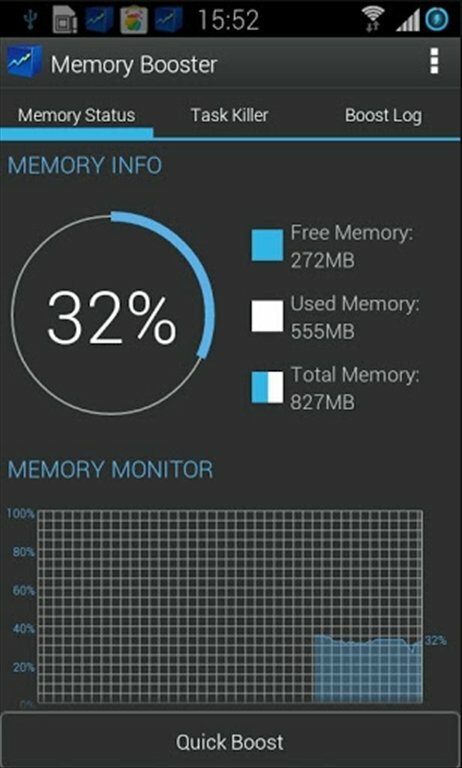 Availability of the Whitelist Manager tool that allows you to protect whichever processes you indicate. 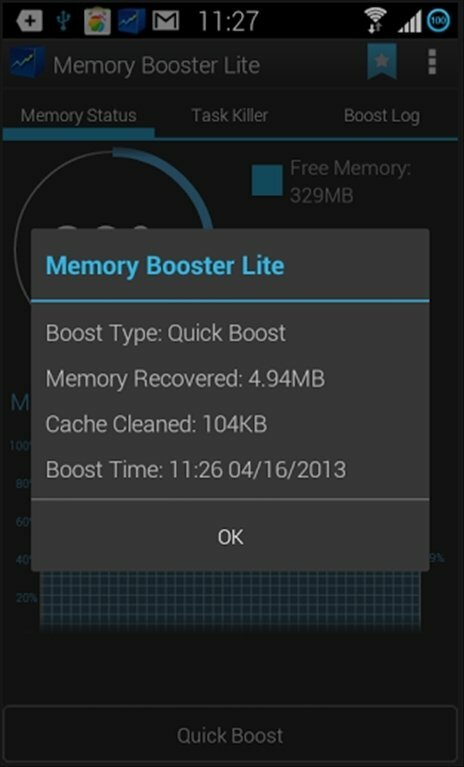 Download Memory Booster free for Android and kill the processes that aren't in use to release RAM memory on your smartphone or tablet.